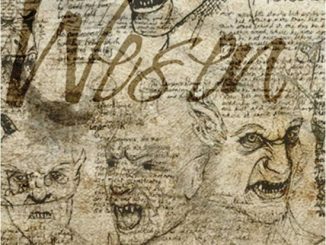 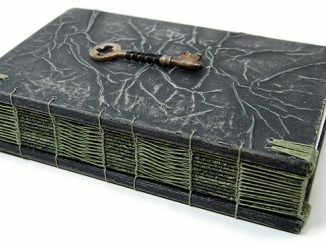 If you are a fan of the TV show Grimm, this Grimm “Book” Journal will be a book that you can’t put down. 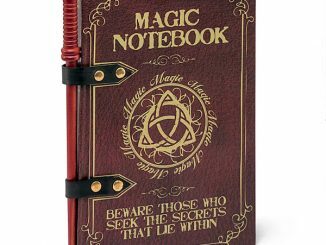 This leather-look journal is made to look like one of the Grimm Diaries. 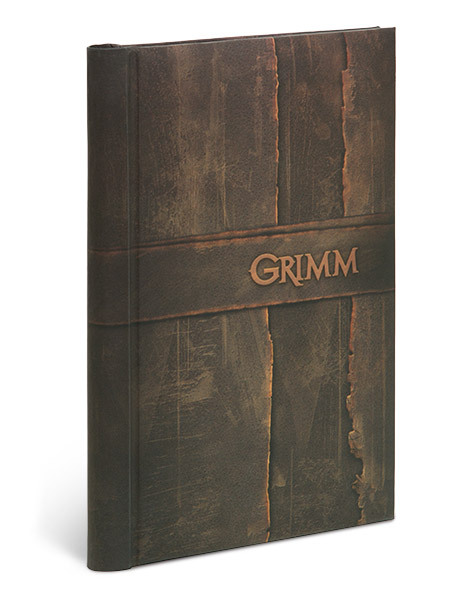 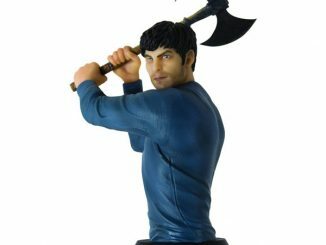 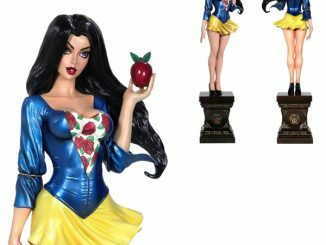 It features lined pages with sketches of monsters and weapons and is a fully-licensed Grimm collectible. This is a great addition to your collection. 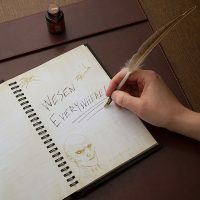 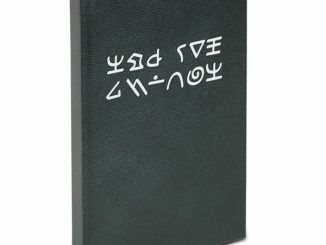 A nifty journal made to look like one of Grimm Diaries, from the TV show Grimm. 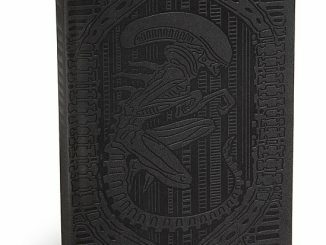 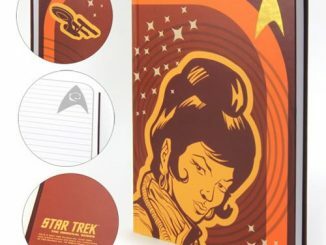 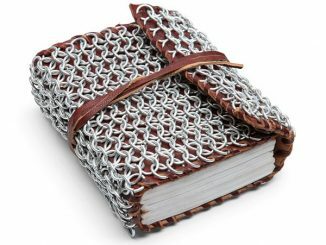 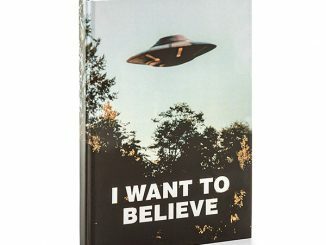 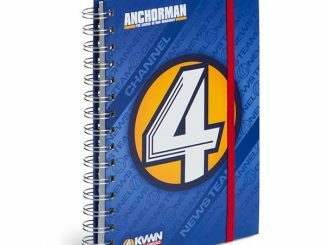 A spiral-bound journal with a foam underlay cover (leather look, rubbery feel). 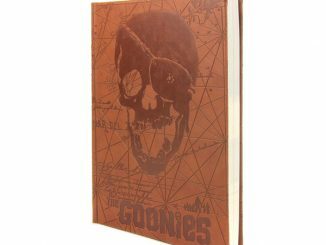 128 lined pages on old-looking paper. 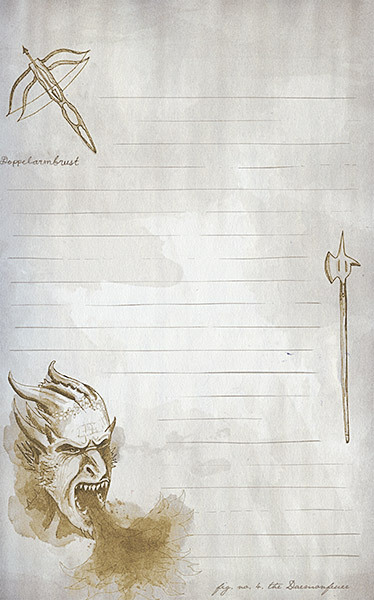 Each page features artwork from the show props of monsters and weapons, including: the Steinadler, the Mellifer, and the Doppelarmbrust. 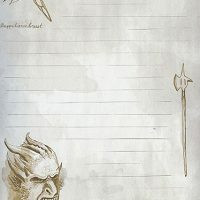 8 different pages repeat throughout the journal.